Hi this is Skyali showing you all a preview of my soon to be released theme for sale. Vague is a premium news magazine WordPress Theme created for those inspired to create magazine type website’s. It will come with all of the premium features as well as a unique slider I know my customers will enjoy. Be on the look out for this theme to be released in the coming week. 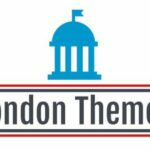 Feedback is always welcomed, Thank you for visiting LondonThemes.